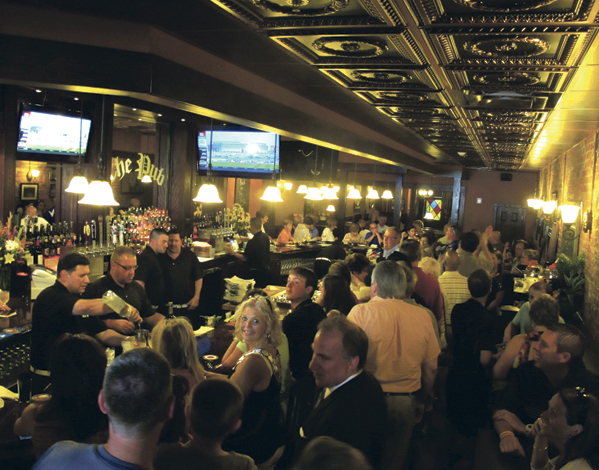 A downtown tavern where friends, family and coworkers meet is open once again. The Pub, located at 209 N. Main St., Jamestown, reopened Tuesday for the first time since a January fire damaged the inside of the business. 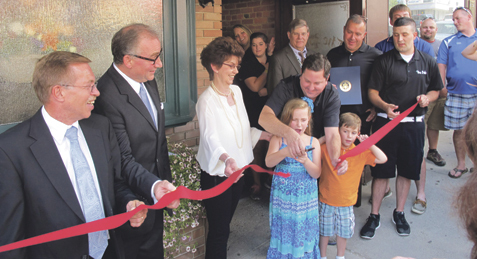 Thanks to the collective collaboration of the family, several Jamestown area businesses, city officials and the Jamestown Renaissance Corporation, The Pub has been restored. The popular downtown attraction has been open since 1965 when Jim McCusker started the business after retiring from playing in the National Football League. His goal was to provide great service, food and drinks in a friendly atmosphere. The mission to make sure all customers, new and old, leave happy and full has been a success ever since. McCusker’s wife, Mary, said without assistance from the community, the popular business might not have reopened. “We needed a helping hand and support. We’re happy to be here, and that we are finally done,” Mary McCusker said about renovating the business and being reopened. More than $350,000 went into renovating the business, with $76,000 from the city, which was used for handicapped accessibility in the bathrooms and doorways. The Jamestown Renaissance Corporation through its Downtown Block Cluster Program funded $40,000 for interior reconstruction, heating, ventilation and air conditioning, and some of the $40,000 also went toward a sprinkler system and for a new facade for both The Pub and Lisciandro’s Restaurant. Lisciandro’s, which neighbors The Pub, also sustained damage from the fire, but reopened on Jan. 22. The restaurant and bar has a new sprinkler system and new features like historic brick walls, which were uncovered during the renovation process. In the coming months, there will also be a new facade for the business. The Pub and Lisciandro’s will have a historic look, with an appearance fashioned from the late 1800s. 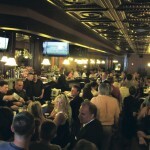 On Tuesday, many area residents were happy to be back in their favorite establishment. Main Street in front of the business filled with patrons prior to the official reopening of the business at 4 p.m.
“It feels like being back home again,” said Kim Scoma of Jamestown. 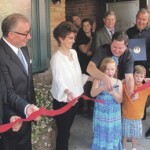 Scoma said she missed “the friendly faces, the food and the whole atmosphere,” while the business was being renovated. Patti Ristau of Jamestown said it was a wonderful feeling being back at The Pub with her friends. “Coming over for a cold one after work,” she said is the best part of the business being reopened. Brett Aversa said he is glad to be back at The Pub, but he is happier for the family that they were back in business.